Marco Melandri’s supremacy in the rain of Magny-Cours was never questioned. Two masterful races allowed him to be both the moral winner in race 1 and absolute winner in race 2. Marco took the second place in race 1, when, obeying team orders, he left the position in favour of his teammate battling for the title. Same script in race two but this time he wanted to honour his strength and talent to win a fantastic race. In race 1 excellent performance of Wild Card Max Neukirchner, 9th to the finish line ahead of Sylvain Barrier EVO category winner, followed by Niccolò Canepa, Jeremy Guarnoni Caludio Corti and Brian Staring. Chaz Davies crashed while Salom did not start because of an injury suffered during Saturday practices. In race 2 Max Neukirchner improved the position finishing 6th, 8th Corti, Davies 9th and 10th Canepa first of Evo class. 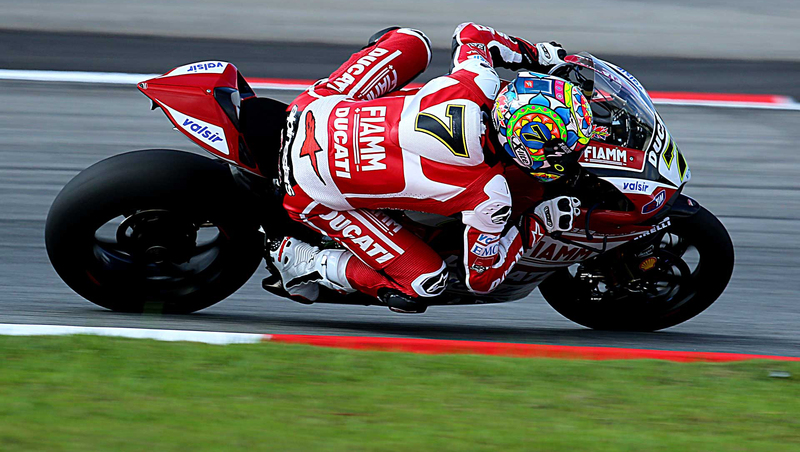 Lorenzo Savadori in Superstock 1000 crashed on the last lap losing his chance at the world title. 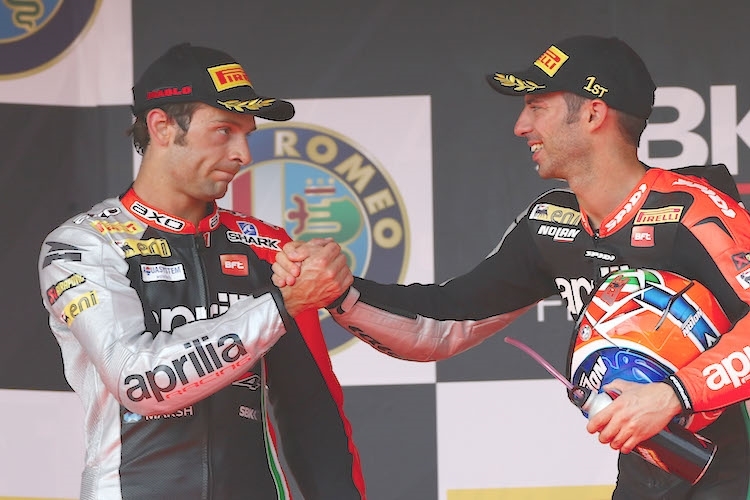 Melandri is now 3rd in the championship, while Davies is 6th. Next race is at Losail International Circuit in Qatar on November 2nd. “A very disappointing day. The crash in race 1 was really unexpected. I knew that was a tricky section of the track and that I needed to be careful when braking but then the front seemed to lock and there was nothing I could do to save it. In Race 2 I immediately realized that as soon as I stood the bike up, the level of rear spin became unmanageable. This was very strange and we need to look into the problem, it seems that the central part of the rear tyre offered no grip. A very difficult race, in which I couldn’t push hard – it was a challenge just to keep the bike upright. Five pilot Jules Cluzel had his first win since the start of the season in Phillip Island. He is now second in the championship standings.